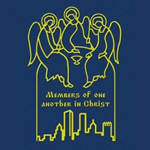 On November 10-13, the Orthodox Church in America will convene its 15th All American Council in Pittsburgh. It is a significant event as a new Metropolitan will be elected. Ancient Faith Radio is honored to be the official media partner for the Council and will be there to make the sessions available for those who cannot come. We will also bring you the announcement of the new Metropolitan as well as an interview with him. Archimandrite Meletios Webber - Abbot of St. John of San Francisco Monastery (Manton, California).